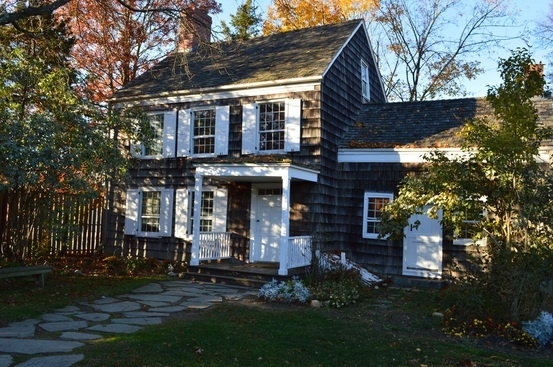 I live about twenty minutes away from the Walt Whitman birthplace site in Melville, Long Island. It is a “slice” of rural life from the past century sitting in the midst of twenty-first century commercialism and suburban sprawl. Across the highway is a bustling, recently expanded shopping mall known as the Whitman mall. The mall, about 5 miles from the northern coast of LI, is located in a densely inhabited suburban community. Not long ago, an imposing bronze statue of Walt Whitman, unidentified by any sign or plaque, was installed at the front entrance of the mall. It would be interesting to survey the visitors to the mall to see how many shoppers recognize the poet or know anything about him. I suspect very few would. I grew up on the North Shore of Long Island where small, New England-type rocky beaches abound, the area is rich in colonial-era buildings and churches, and there is an abundance of greenery. I have come to realize over decades, that I am at heart a suburbanite because I love nature and do not wish to live amidst the hustle and bustle of city life. However, there are some drawbacks to my suburban life. Although my town, Huntington, is a cultural oasis on Long Island because of its local art cinema, bookstore, art galleries and broad variety of restaurants, most towns on LI are cultural wastelands. Although I have been able to create a culturally stimulating life for myself in retirement by joining various local groups, for the most part Long Islanders are more interested in living the American dream of shopping and acquiring material goods and wealth. I have lived here most of my life, but I have often felt like a martian visiting earth. My passions…reading, immersion in nature, and occasional ventures into Manhattan to visit world-class museums and cultural events, make me part of a small percentage of Long Islanders. This past week, however, I was able to attend a poetry reading at the Walt Whitman birthplace site which warmed my English major heart. 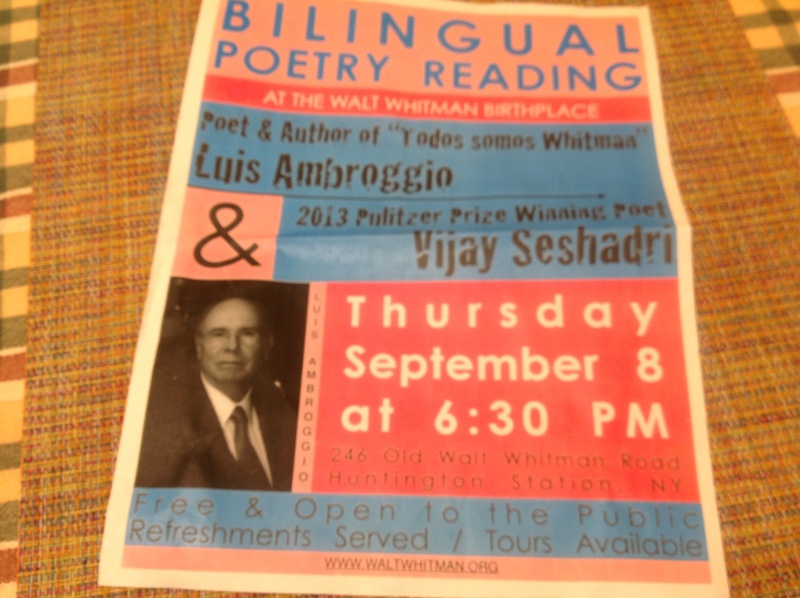 Advertised as a bilingual poetry reading, it featured a leading poet of Argentinian heritage, Luis Alberto Ambroggio, and the 2013 Pulitzer Prize winning poet, Vijay Seshadri, who introduced him. 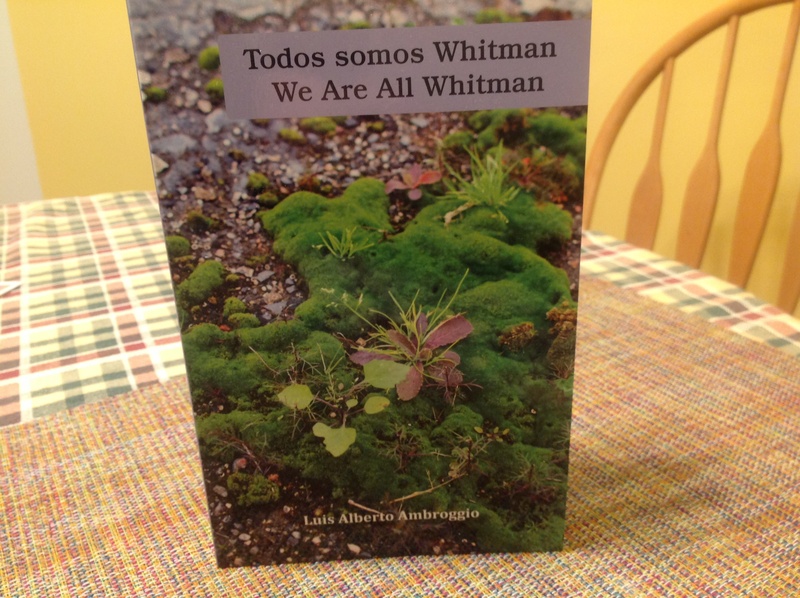 Ambroggio has just published his newest poetry collection, Todos Somos Whitman (We Are All Whitman). He invited Seshadri, who introduced the poet and his new book, to read some of their own poetry inspired by Whitman. I invited the one person I knew who shares my passion for poetry to join me. It turned out to be a remarkable experience, listening to two poets from such distant and different backgrounds, sharing their insights into the poetry of Walt Whitman. 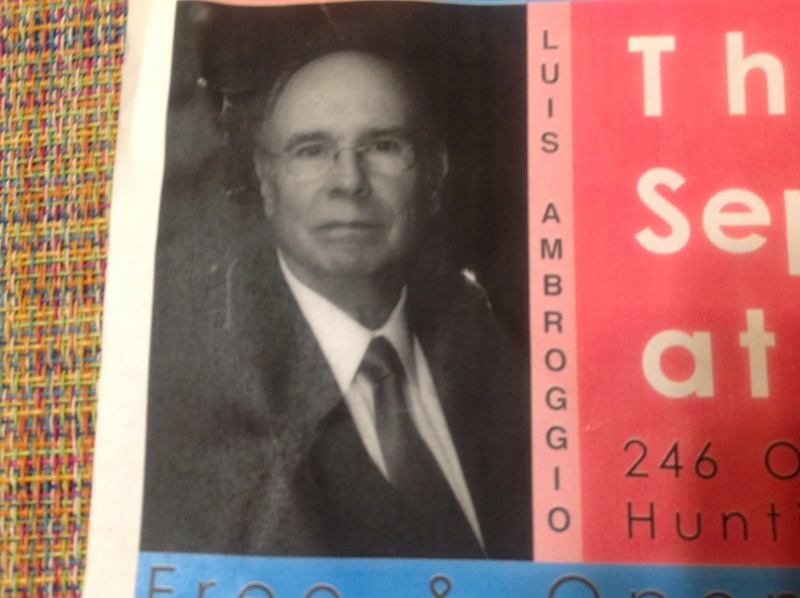 Hearing Ambroggio’s poems in Spanish, then in English, was mesmerizing. Although I understood only a few words or phrases in Spanish, I allowed myself to just sit and let the language wash over me. As to be expected, Ambroggio’s Spanish articulation was beautiful; I hung on every word. The exchanges between the two poets as they shared their insights about Whitman were illuminating. Poets are word meisters; they choose their words very carefully, making the experience of listening to them recite their poetry doubly rich as both a language and literary experience. As a former teacher of English to immigrants, I appreciated the rare opportunity to enjoy this unusual coupling of cultures: an Argentinian poet and an Indian-American poet, both conversing in English in Whitman’s front yard. Never had this suburban neighborhood seemed so rich in possibilities. Never had Whitman’s reach seemed so near yet so far. In many other countries this would perhaps have been a major literary event. Here on LI, it was very low-key, but richly rewarding for those who were present. Walt Whitman, you would be pleased to know that your poetry is alive and well and being translated across the world. And I was just lucky enough to stumble across this reading in my own suburban neighborhood. That, I am sure, would have made you smile and maybe even have inspired you to write a poem! What an amazing experience. 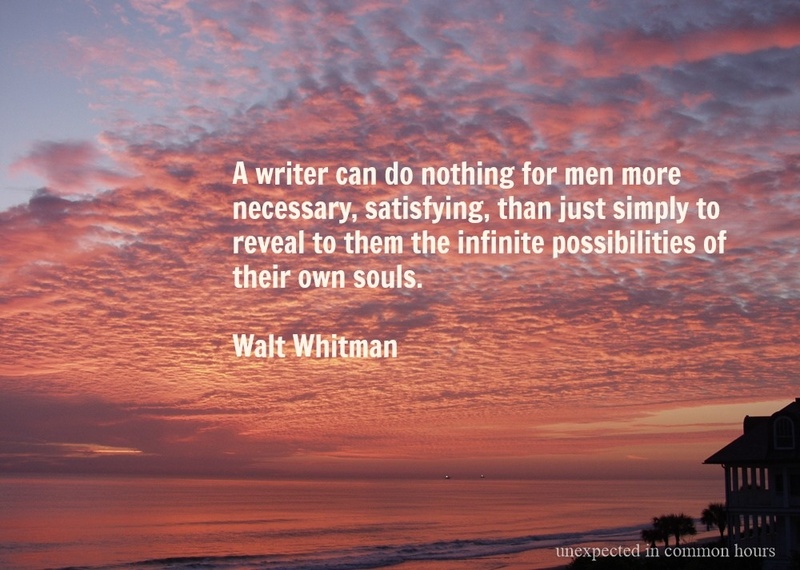 Thank you for sharing your passions and the Whitman quotes. Inspirational! 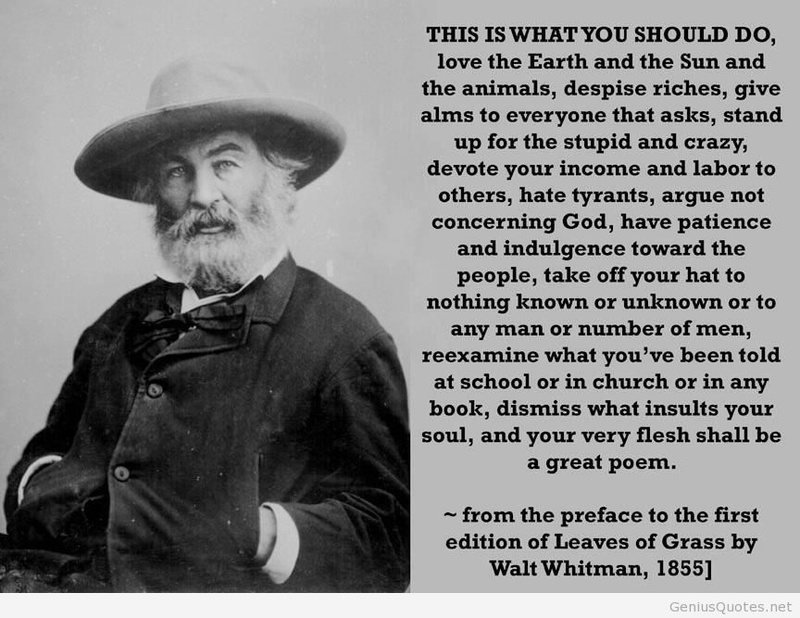 Thanks for a morning dose of Whitman. It sounds like you had a soul fulfilling time. Indeed! I’ve learned that you have several interesting blogs going on. I’d like to know more…. Today I run the Senior salon. This might be a fun way of joining my community. Take a look. I would welcome your joining us. Hello, I tried adding my link/name to your Senior Salon but the message said it wasn’t accepting any additional links. I’d love to join you whenever…. Hi, I will check on that but please join us next Wednesday when the link goes live. You Eileen be a very welcome addition. Wow- what a great experience. Thanks for sharing! What a wonderful experience. So glad you shared with us. I love that you allowed the music of the language to wash over you. That is a lovely experience, non?! Mais, oui! And tonight I allowed the French language to flow over and around me as I participated in the French conversation group I recently joined. I love hearing any language spoken well. It makes me so aware of how truly richly diverse our world is. Bonne nuit!